Drifting on sheltered mountain waters amid pure highland air… this may be the moment it hits you. You’re somewhere you’ve never been, in a Pumphouse Point dinghy, exploring hidden coves, entirely removed from everyday life. Let the lake guide you. Once you have filled two memory cards with photos of the Pumphouse floating over the mist at sunrise, venture off into the wilderness to discover a broad range of flora, fauna, streams and beaches to capture in stills forever. A whole new canvas then emerges after dark, as the sky fills with a billion stars. 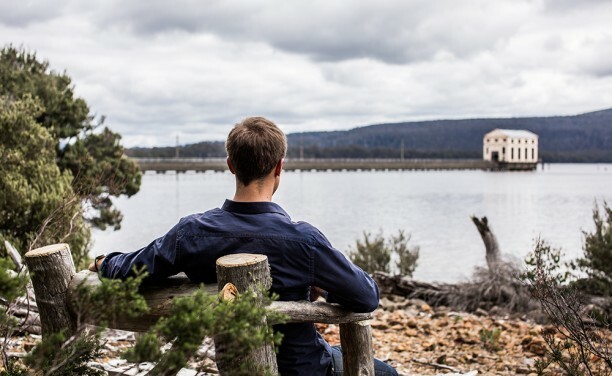 Pumphouse Point is a trout fisherman’s paradise, with world-class fly fishing on the door step – literally . 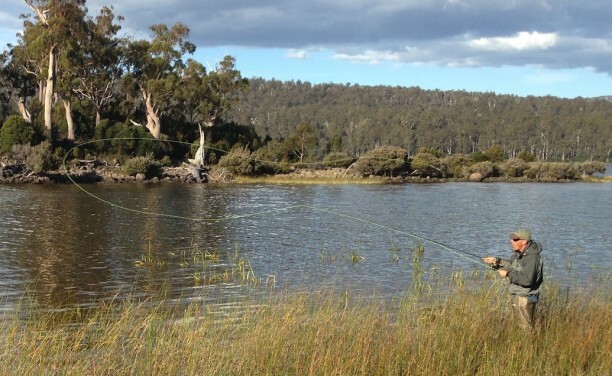 A member of the Tasmanian Trout Guides and Lodges Association, we use and recommend the best guides in the business. 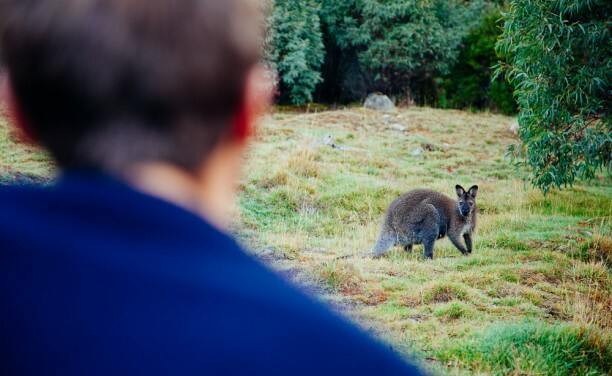 Pumphouse Point is home to a community of furry hosts: wallabies, echidnas, native quolls, possums, wombats, the famous Tassie devil and a wide variety of birdlife. And of course, forever hiding in the shallows is the Pumphouse platypus. From the saddle of our bikes, you’ll find secrets beyond your bushwalking limits. Pack a picnic with Tassie pinot and find an untouched patch to lay your blanket. Pedal slowly, you’ve got all day and the bikes are free. Let the mystique of Lake St Clair capture you for a moment, to hear the gentle lapping of water, smell the forest and breath the pure air. Our lakeside bush seats provide a calm setting to reflect on the things that are most important to you. 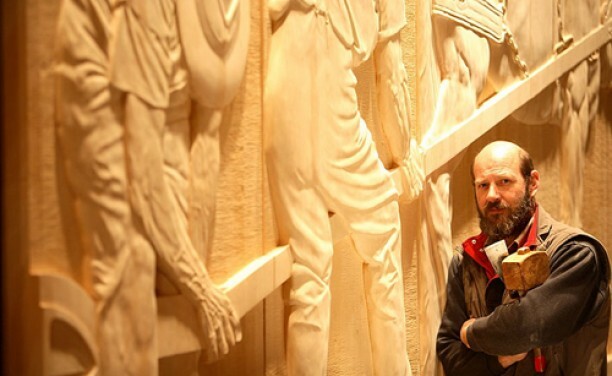 Artist Greg Duncan is creating a masterpiece of epic proportions: hand-carving the history of the central highlands into massive Huon Pine panels, 3m high and 100m long. An oasis in the bushland, The Wall is unlike anything else in the world.